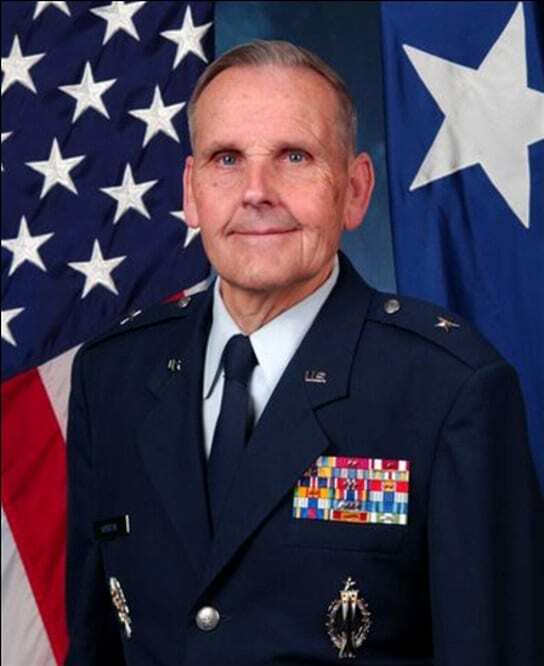 Brigadier General Douglas J. Murray, United States Air Force (Retired) assumed the responsibilities of Dean of Academics, New Mexico Military Institute (NMMI), 1 April 2007. General Murray’s distinguished career in education, administration, leadership and management began with his graduation in 1965 from the Georgetown University School of Foreign Service, Washington D.C. with a Bachelor of Science in Foreign Service (BSFS)(government, economics, and history). In 1970, he received his Master of Arts degree in government, history, and anthropology, from the Institute of Latin American Studies, at the University of Texas at Austin. He then completed his Doctor of Philosophy in international relations, comparative politics, and defense policy, in 1979, from the Graduate School of Government, at the University of Texas at Austin. General Murray came to NMMI from the United States Air Force Academy where he served as Chairman of the Social Sciences Division, and professor and head of the Department of Political Science. As the division chairman, he oversaw, represented, and coordinated the five departments that comprise the division: behavioral sciences, economics & geography, law, management, and political science. As the professor and head of political science, he commanded a department of 30 military personnel and high-ranking civilians, and was responsible for all curriculum, personnel, budget, research and long-range planning. In addition, he was a member of the Academy’s major governing board, Chairman of the Graduate Studies Committee which oversees graduate programs for cadets, and the Chair of the Faculty Personnel Council that conducts the faculty academic promotion system. General Murray entered the Air Force in 1965 as a Distinguished ROTC Graduate from Georgetown University. He served as a Titan II missile combat crew member and an intelligence officer in Thailand during the Vietnam War. Later, at the Air Force Academy, he served as an associate professor and director of comparative and area studies in the department of political science and as vice dean of the faculty. He also held positions as deputy chief of the Secretary of the Air Force staff group in the Pentagon and a policy and plans division chief at Headquarters United States European Command, Vaihingen, Germany, during the Bosnian conflict. He chaired the strategic planning staff of the Air Force Education and Training Review Council, responsible for drafting the first Air Force-wide education and training strategic plan. He co-chaired the Dean of the Faculty’s Strategic Working Group, responsible in part for developing the USAFA capabilities-based strategic planning system and established the USAFA Center for Space and Defense Studies. His other notable achievements include membership on the Council on Foreign Relations, Academic Associate to the Atlantic Council of the United States, Pi Sigma Alpha, National Honorary Society in Political Science, twice named Outstanding Young Man of America, and he is author/editor of books, articles and studies on national security and Canadian defense policy. His major awards include the Defense Superior Service Medal, Legion of Merit with two oak leaf clusters, and the Meritorious Service Medal with one oak leaf cluster. General Murray was married to the former Cathy Enright for nearly fifty years before her passing in 2013. They have two sons, one daughter, and seven grandchildren.